I admit it, I am addicted to the non-branded organic referral, but let’s be honest, the branded or partially branded organic search traffic that you are receiving (or not) is much more qualified. While we waste away worrying about non-branded exposure, much of the time, we are ignoring “branded” entry into our site from a multi-channel attribution standpoint. Specifically, traffic that chooses to enter the site again as they searched for your brand name since they were associated with the brand previously via social media, PPC, etc. Simply put, most of us are ignoring last channel touch points in favor of the chase of high visibility in high search volume organic traffic. If you are lucky enough to rank for highly searched terms, then that is great. If you convert them in the first visit, then you are awesome. For the rest of us, we have to consider the multi-visit journey of a “digital visitor”. Let’s think about this for a moment, in most cases, your customer is making several touch points with your brand before making a purchase or engaging in one of you site objectives. Your multichannel strategy is cooking and you have done a great job of “building a brand” via social media, email, paid search, etc. Once you have ingrained the brand in one’s mind, how do you reinforce it via organic Search? It’s time to endure a gut check in Google Analytics, specifically in Search Engine Optimization/Queries. Take a look at your most clicked on terms and impressions It is almost always branded or “partially branded terms” near the top. While you have been so worried about that highly searched non-branded keyword, many are searching your brand for entry into your site. While you are viewing this, take a look at click-through-rates on these branded or partially branded terms. Next, take a look at the search results for yourself. We want comfort in an easily navigable entry into a site, right? Have you delivered this in your branded search term results? You have seen what your top impression counts are but now we need to start looking at what a “brand associated” user sees in organic Search results. From a brand standpoint, Google makes it ridiculously simple to position brand strength via sitelinks. How you position title elements and relational keyword enforcement on pages will help your branded result to not be one message(title element) but several. So we have taken a look at simple brand related searches, right? Keep searching! As you type in your Google Toolbar watch the other brand related searches that are appearing. If this doesn’t suffice, use Ubersuggest to gain a true image of what your brand associated searching is looking for. Take a second and understand that many of your site converters are not first-time visitors. A great way to gain an industry level view of what sites typical to yours see as the channels used in the customer journey, is with Google’s Think with Google tool. You might find it a little surprising that, in some cases, organic search is not the first or last touch point in the conversion process but found in the middle. If you are interesting in how your brand performs in this manner head back to Google Analytics and review you multichannel relationship. I suggest viewing the Top Conversion Paths dashboard (note: you have to create goals on the site as this reports channel referrals leading to conversions). To help make a point about organic referrals outside initial brand awareness, filter to exclude any channels that begin with organic. Sitelinks: Ensure that your site pages have unique title elements that also reflect the keyword theme of the respective page copy. Also, demote any Sitelinks that are showing that you feel is not a great entry point for a searcher. Local listings: Someone is clicking on your link in a local listing because they are near your location. Send them to the specific individual location page. Also, populate these with all the information you can possibly provide. Undesired ranking pages: I know that you look at your top landing pages from organic search but do you look at all of them? You may be surprised with what is ranking. In many cases, I have found form thank you pages, empty shopping cart pages and much more. Knowledge Graph: this is an area that not every brand gets to enjoy. 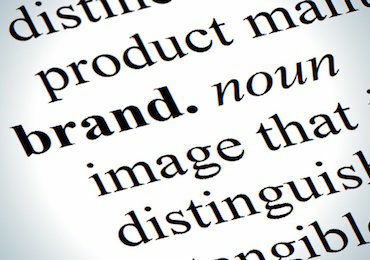 Those with established Wikipedia listings and Google+ listing, online brand chatter/citations and complete use of schema across the brand logo and contact information stand a much better chance to have one of these vs. those who don’t. While you still want to focus on organic visibility for highly searched non-branded terms, one must never forget that the partially branded and branded search is often a loyal customer or more importantly a returning prospective customer.